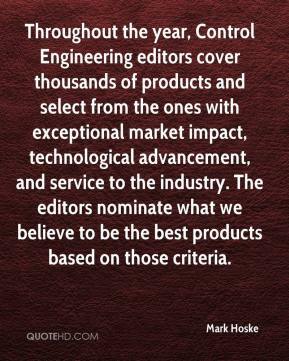 Throughout the year, Control Engineering editors cover thousands of products and select from the ones with exceptional market impact, technological advancement, and service to the industry. The editors nominate what we believe to be the best products based on those criteria. These awards honor the most significant innovations featured in Control Engineering during the past year. 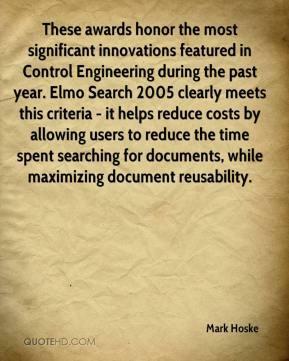 Elmo Search 2005 clearly meets this criteria - it helps reduce costs by allowing users to reduce the time spent searching for documents, while maximizing document reusability.